One of the challenging things in introducing wine drinkers to great value wine is directing them to find specific bottles of juice. I review a lot of wine on this blog but not all are available where my Grape Sense newspaper column is published. And I do review wines on the blog at a higher price point. So a few times a year I try to list a handful of wines that are widely distributed that I can confidently recommend. 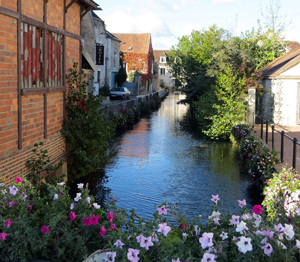 Veramonte Pinot Noir – It’s very difficult to find an under-$15 Pinot. This Chilean Pinot out-performs most Pinot in the category. It has nice Pinot flavor with good dark fruit. I didn’t get much of the ‘dirt’ or earthiness found in higher-priced Pinot but this is very drinkable wine. Veramonte is in many shops around the Midwest. But if you don’t find it, try a different Chilean Pinot. Many wine people believe the small South American country is the next ‘big thing.’ The Pinot vines are young but they’re only going to get better. Right now a lot of Chilean Pinot is finding its way into the U.S below $15. This one generally retails at $14. 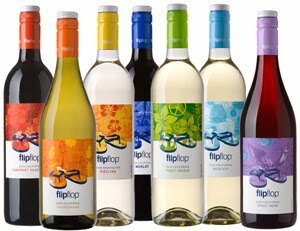 flipflop wines – I’ll lump these wines together for a qualified recommendation. This is a value line of wines featuring a Pinot Noir, Pinot Grigio, Riesling, Chardonnay, Cabernet Sauvignon, Merlot, and Moscato. They sell for $7, or less, and you might have already seen them in your supermarket. At the under-$10 price point, you just won’t find any better choices. The company is also working with Soles4Souls, an organization that raises money to distribute shoes to needy children around the world. A portion of the proceeds from each bottle benefits the cause. I tasted the Pinot Noir and Pinot Grigio and was very pleasantly surprised. Remember to judge them for what they are – $7 wine. Not bad at all for the cost of a decent six-pack of beer! Brassfield Estate ‘Serenity’ – This is a white wine blend from Northern California. The wine is a combination of Sauvignon Blanc, Pinot Grigio, Gewurtztraminer, and Semillon. Wine drinkers shy away from blends but they should not. This is one of the most drinkable whites I’ve picked up in months. It has lovely pineapple, honey dew melon, and apple notes. The acidity is really quite mild. You can find it in wine shops at $10-$14. Ortman Cuvee Eddy – Here is a red wine blend that is just making its way into Midwestern stores. I’ve become a big fan of Ortman wines because of the food-friendly style. This wine is fashioned, somewhat, as a French Cotes du Rhone. It’s a blend of Syrah, Grenache, Mourvedre, and Petite Syrah. This wine has a jam-like blackberry flavor with a bit of chocolate. I like the spice. It is tremendous wine with food. It comes from California’s Central Coast region, specifically the Paso Robles region. It has a suggested retail price of $20. 7 Deadly Zins – Michael David winery’s Zinfandel should be very easy to find and even easier to drink. It’s definitely for the big red wine drinkers or a good introduction to bigger wines for the beginner. It offers up berry, pepper, spice and some earthiness that is just perfect at the $15 price point. This producer also makes Zins which are much more powerful at a higher price. If you want a big Zin, try Michael David’s ‘Earthquake’ which retails for just over $20.